We leave Tuesday for Shanghai. 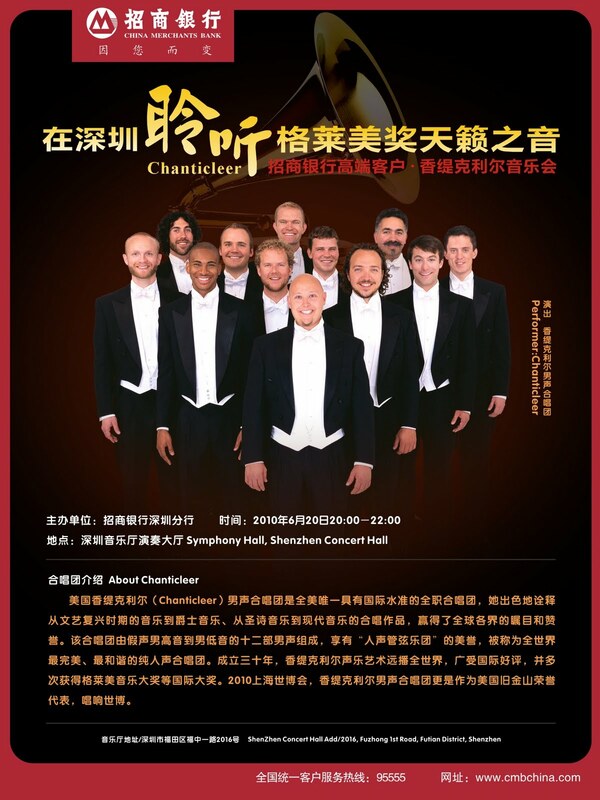 After our official commitments in Shanghai, we will fly to Shenzen for a concert in their beautiful concert hall (where we performed last May. 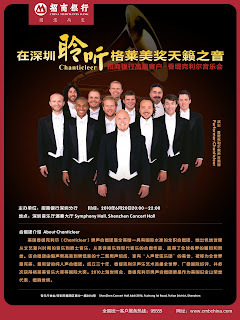 )The China Merchant bank is presenting us - these are the posters they have made.